Paktia (Pashto: - Paktya) is one of the 34 provinces of Afghanistan, located in the east of the country. The province is divided into eleven districts and has a population of roughly 525,000, which is mostly a tribal society living in rural areas. Pashtun tribes make up the majority of the population but smaller number of Tajiks are also found. Gardez is the provincial capital. While the Diadochi were warring amongst themselves, the Mauryan Empire was developing in the northern part of the Indian subcontinent. The founder of the empire, Chandragupta Maurya, confronted a Macedonian invasion force led by Seleucus I in 305 BC and following a brief conflict, an agreement was reached as Seleucus ceded Gandhara and Arachosia (centered around ancient Kandahar) and areas south of Bagram (corresponding to the extreme south-east of modern Afghanistan) to the Mauryans. During the 120 years of the Mauryans in southern Afghanistan, Buddhism was introduced and eventually become a major religion alongside Zoroastrianism and local pagan beliefs. The ancient Grand Trunk Road was built linking what is now Kabul to various cities in the Punjab and the Gangetic Plain. Commerce, art, and architecture (seen especially in the construction of stupas) developed during this period. It reached its high point under Emperor Ashoka whose edicts, roads, and rest stops were found throughout the subcontinent. 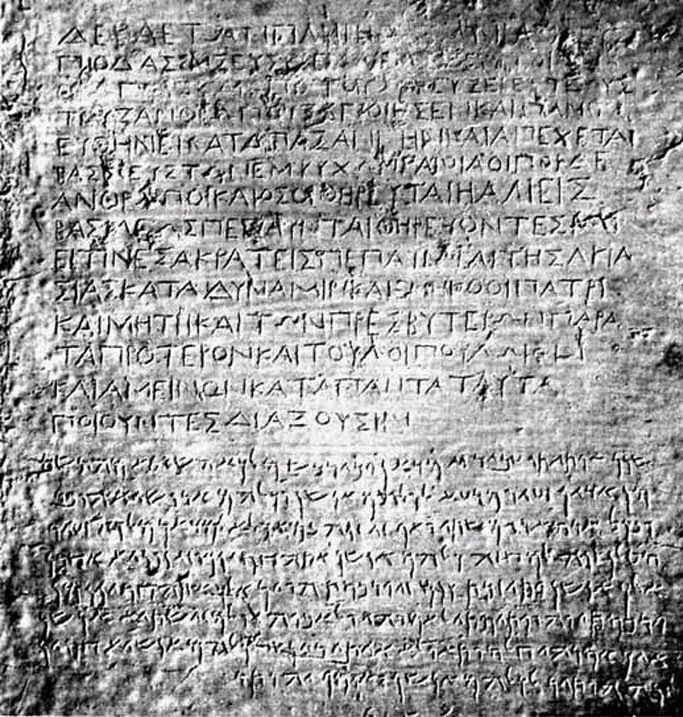 Although the vast majority of them throughout the subcontinent were written in Brahmi, Afghanistan is notable for the inclusion of 2 Greek and Aramaic ones alongside the court language of the Mauryans, (Brahmi). Paktia borders the Pakistani-ruled tribal areas of North Waziristan, Bannu and Kurram Agency. Like most of the traditional Pashtun areas of Afghanistan, the Durand Line that marks the border with Pakistan is "drawn on water", and residents move freely between the two countries. 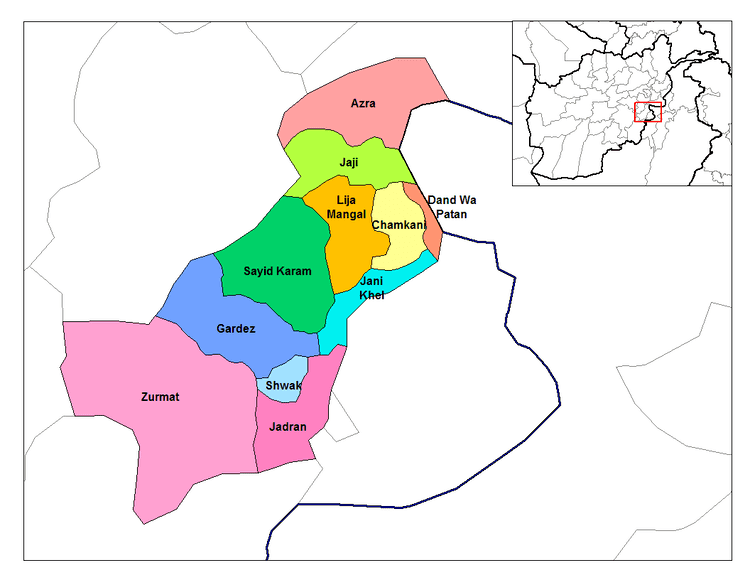 Within Afghanistan, it borders Logar Province, Ghazni Province, Paktika Province, and Khost Province, in counterclockwise order. As of 2005, Azra district is no longer a part of Paktya. It has been attached to Logar province to the north, to which it is much more closely connected by roadways and people.